15-21: SADF Armed Forces Day - Durban. A group of Su-34 frontline bombers took off from the airfield of the Sukhoi Company's branch - Novosibirsk Aircraft Plant, and headed to the place of their deployment at one of the aircraft bases of the Russian Air and Space Forces. The delivery of the Su-34s signifies the fulfilment of the State Defence Order 2016 for these aircraft. The Novosibirsk aircraft plant currently operates with a high efficiency. 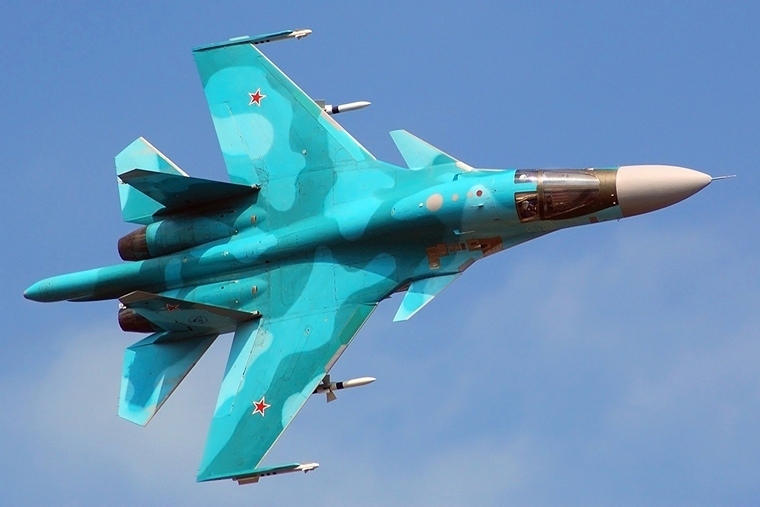 The State Contract with the Ministry of Defence of the Russian Federation for the Su-34s supplies to the Russian Air and Space Forces up to the year 2020 guarantees a stable work load of the plant for the coming years and identifies its long-term development prospects. The Su-34s operate successfully in the military and demonstrate high performance. The features of the Su-34 include, in particular, a flight range increased up to 4000 km, a maximum speed of up to 1900 km/h, and a payload of up to 8 tons. The aircraft has a new weapon system and an air refuelling system. 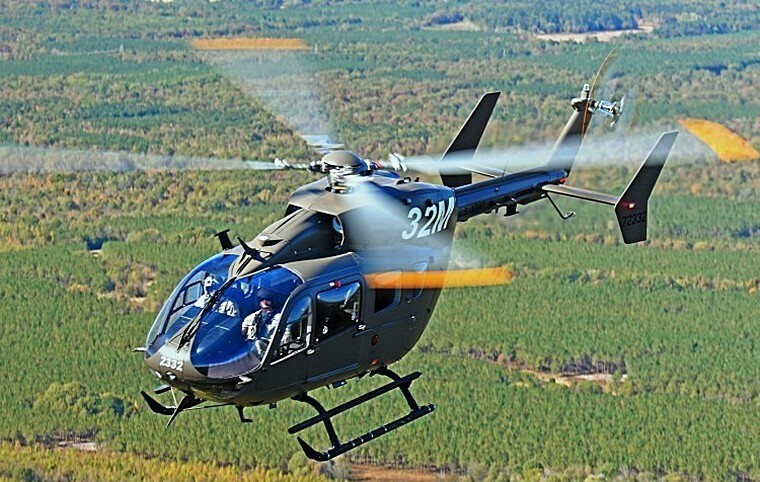 Airbus Helicopters Inc. has been awarded a Contractor Logistics Support contract by the U.S. Army to provide spare parts, material and engineering support for the Army's UH-72A Lakota fleet of utility and training helicopters. The contract includes a base year and four one-year options, with a potential five-year value of more than $967 million. Airbus Helicopters Inc. will provide the support at Army and National Guard bases in 43 states as well as in Kwajalein, Guam, Puerto Rico and Germany. The U.S. bases include Fort Rucker in Alabama where the UH-72A is operational as the Army initial-entry training helicopter. An initial contract installment of $17.4 million has been exercised. "We are honoured that the U.S. Army has chosen to renew its support & services contract with Airbus Helicopters Inc.," said Matthieu Louvot, Executive Vice President Customer Support & Services of Airbus Helicopters. "This contract underscores how Airbus can provide the highest service level to deliver the fleet availability rate required by the demanding missions of the U.S. Army. " Management of both UH-72A production and logistics is conducted out of the company's headquarters in Grand Prairie, Texas, with production performed in Columbus, Miss. To date, 393 UH-72As have been delivered to the Army and are in use in support of vital missions including training, air medical transport, and search and rescue, with Army National Guard units flying Lakotas in support of Customs and Border Protection operations on the Southwestern border. The Naval Test Pilot School at Patuxent River, Md. operates five Lakotas and the Royal Thai Army six. The Army has contracted for 423 Lakotas, including those for the Naval Test Pilot School and the Royal Thai Army. Boeing [NYSE: BA] this week delivered the 500th 787 Dreamliner, a 787-8 to Avianca, marking another milestone in the program's history. "Achieving 500 deliveries - the fastest to 500 for twin aisles - is a great accomplishment, made possible by the hard work and dedication of our employees and global suppliers," said Mark Jenks, vice president and general manager, 787 program, Boeing Commercial Airplanes. Since entering service in 2011, the 787 Dreamliner fleet has grown to include 48 operators, who have collectively flown 696,000 revenue flights, carrying 133 million passengers over 1.7 billion revenue miles. The 787 family is flying more than 530 routes, with customers opening more than 120 new nonstop routes around the world. Iran Air and Airbus have signed a firm contract for 100 aircraft, building on an initial commitment signed in January 2016 in Paris. The agreement signed by Farhad Parvaresh, Iran Air Chairman and CEO and Fabrice Bregier, Airbus President and CEO, covers 46 A320 Family, 38 A330 Family and 16 A350 XWB aircraft. Deliveries will begin in early 2017. The agreement is subject to US government Office of Foreign Assets Control (OFAC) export licences which were granted in September and November 2016. These licenses are required for products containing 10 per cent or more US technology content. Airbus coordinated closely with regulators in the EU, US and elsewhere to ensure understanding and full compliance with the JCPOA. Airbus will continue to act in full compliance with the conditions of the OFAC licences. The agreement follows the implementation of the JCPOA (Joint Comprehensive Plan Of Action), its associated rules and guidance and included new commercial aircraft orders as well as a comprehensive civil aviation package. The package includes pilot and maintenance training, supporting the development of air navigation services (ATM), airport and aircraft operations and regulatory harmonization. As the world's leading aircraft manufacturer, Airbus offers the most comprehensive range of passenger airliners from 100 to more than 600 seats. 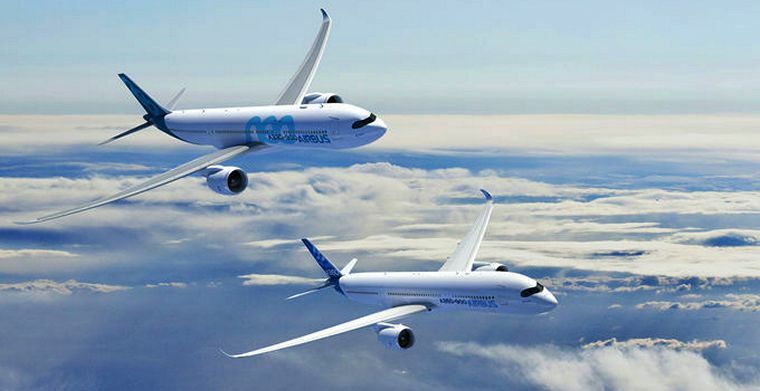 Airbus has design and manufacturing facilities in France, Germany, the UK, and Spain, and subsidiaries in the US, China, India, Japan and in the Middle East. In addition, Airbus provides the highest standard of customer support and training through an expanding international network. 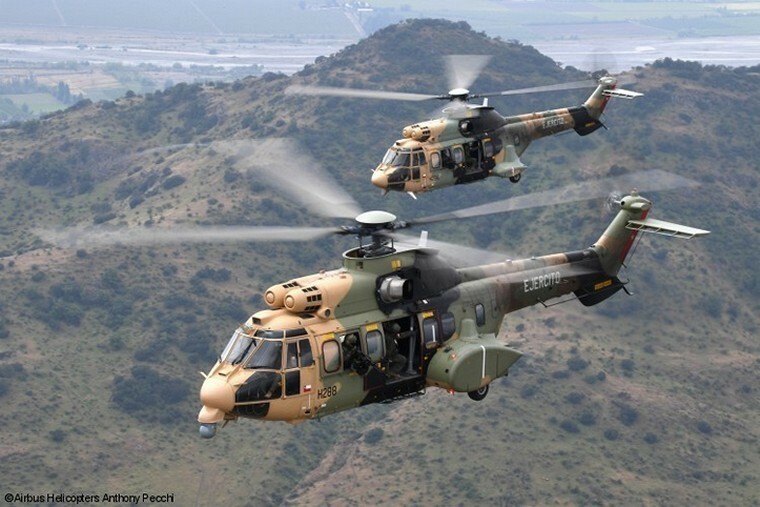 In early December, the Chilean Army took delivery of a tenth heavy-weight, twin-engine H215M, the last delivery in a project that began in 2008 with the purchase of eight of these helicopters, to which two more were added in 2013 and 2014 respectively. The new rotorcraft will serve alongside the previous nine in the Helicopter Battalion of the Chilean Army's Air Brigade. "This helicopter complements the army's fleet, which now includes latest-generation aircraft with the ability to perform multiple missions across the entire country," said Brigadier-General Núñez Kocher. "Our confidence in this helicopter is based on the positive operational results it has achieved since coming into service in 2009. The H215M has proved its versatility and reliability across the Army's numerous and demanding operations." The army's H215M have completed more than 10,000 flight hours in a large number of missions that range from the provision of aid to remote areas and medical evacuations to firefighting and disaster relief. The Chilean Army's Air Brigade played a crucial relief role during the floods that hit the Atacama region in 2015, carrying out 56 missions to provide support for flood victims. In addition to the ten H215Ms, the Chilean Army operates a number of other Airbus Helicopters rotorcraft, such as the single-engine AS350B3, the twin-engine AS355NP and the Puma SA330L. The H215-and its military version, the H215M-forms part of the Super Puma family. It boasts multi-mission capabilities and delivers optimum performance in extreme operating conditions. Combining modern avionics with a proven, robust platform the H215M offers long-range capabilities, power, speed and a large useful payload; making it the ideal aircraft to perform SAR missions. The H215 is also reliable and highly economical, with an availability rate of more than 95 percent. USA, Houston: Two people were killed on Wednesday when an Army Air National Guard AH-64 Apache helicopter crashed some 25 miles southeast of Houston into waters near the Bayport Cruise Terminal in Texas. The cause of the crash of the helicopter, was not known. USA, Minneapolis: A couple that was acting "disruptive" and "not obeying commands of the flight crew" on board a flight from Minneapolis to Los Angeles forced the flight 20 minutes after take-off to return to Minneapolis where the couple was detained by police. Iran, Tehran: An Iranian MD-80 was forced to return to Tehran's Mehrabad airport on Saturday after one of its two engines failed. All passengers were safe. Iran's airlines have been plagued by accidents, which politicians blame on international sanctions that have prevented the airlines renewing their ageing fleets. Canada, Calgary: Airline passengers in Canada were saved from an incredibly dangerous flight on New Year's Eve, when their intoxicated pilot allegedly passed out in the cockpit before being arrested. Airlines cabin crew notified authorities after they noticed the pilot behaving "oddly" as he boarded the flight bound for Cancun, Mexico. In the late 1940s British South American Airways (BSAA) was responsible for services from the United Kingdom (UK) to the Caribbean and South America. BSAA's fleet consisted of mostly Avro aircraft. Its Yorks, Lancastrians and Tudors flew scheduled flights to Bermuda, the West Indies, Mexico and the western coast of South America. In 1949, after two high-profile aircraft disappearances, it was merged into the British Overseas Airways Corporation. Heathrow Airport started in 1929 as a small airfield (Great West Aerodrome) on land south-east of the hamlet of Heathrow from which the airport takes its name. 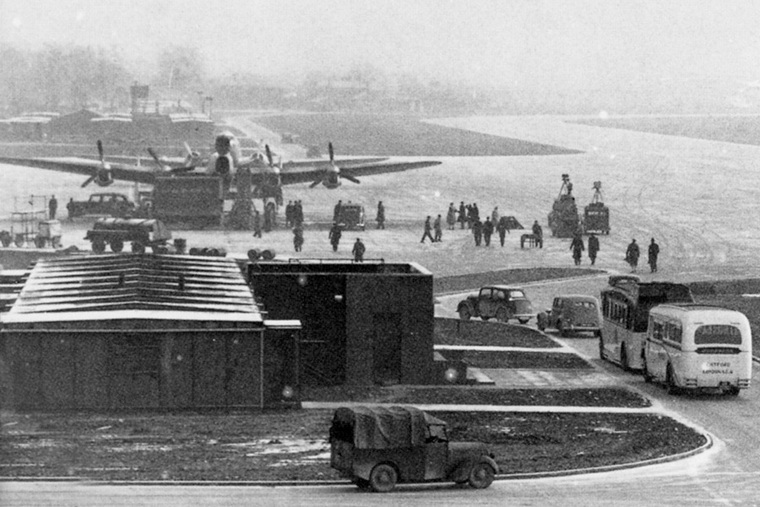 Development of the whole of the Heathrow area as a very big airfield started in 1946 for long-distance military aircraft bound for the Far East. However, by the time the airfield was nearing completion, World War II had ended. Development continued as a civil airport and it was opened in 1946 as London Airport. It was renamed Heathrow Airport in 1966. The Lancastrian was basically a modified Lancaster bomber without armour or armament and with the gun turrets replaced by streamlined metal fairings, including a new nose section. The initial batch was converted directly from Lancasters; later batches were new builds. The Lancastrian was fast, had a long range, and was capable of carrying a heavy load, but space inside was very limited as the Lancaster had been designed with space for its seven crew dispersed throughout the fuselage, and the 33 ft (10.05 m) long bomb bay. Consequently, it was not suited to carry large numbers of passengers, but was suitable for mail and a small number of VIP passengers. British Latin American Air Lines (BLAIR) was formed on 25 January 1944. At the end of 1945 the company was renamed British South American Airways. On 1 January 1946 the airlines first Avro Lancastrian undertook the first flight from the newly opened London (Heathrow) Airport on a proving flight to South America. The first commercial flight followed ten weeks later.